The first car of the F1 Historic project is here. The Ferrari F310, and its evolution, the F310B, were the Formula One racing cars with which the Ferrari team competed in the 1996 and 1997 seasons. It was driven in both years by Michael Schumacher and Eddie Irvine. The F310 and F310B won a total of eight Grands Prix, 22 podiums, 7 pole positions and 172 points. There are currently no setups for F1 Historic Ferrari F310. Add a Setup. There are currently no car skins available for F1 Historic Ferrari F310. If you are a painter you can share skins for this mod via the Car Skins area. Visit the Spray Booth for painting tips & tricks. Basemod: Link is broken! Where to drive the Ferrari? It does not appear in the main menu! f310 cockpit indicators dont work. Unfortunately the server is too slow to download. Why not put at mega.nz? I would like to add my input on this subject, please. 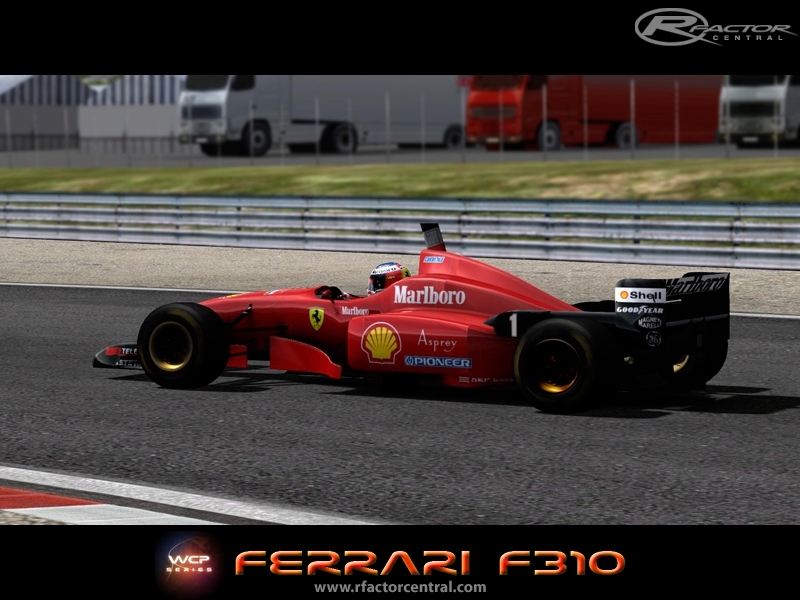 Also, would WCP be interested in making an F1 2004/ 2005 season mod? These WCP series cars are nice but are undriveable. 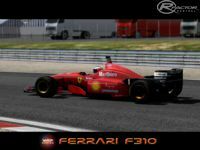 Please note this mod was originally called 'F1 Historic' but has been renamed to specify the Ferrari. WCP will be releasing them individually, so the filename has been updated.